Choosing a good carpet cleaning company may be more difficult than you think. In order to make the right decision, it’s important to understand a little bit about how carpets get dirty and the best way to clean them. We thought it might be useful to address a few common misconceptions about carpet cleaning, so you can choose the best professional carpet cleaning company for your needs. 1 – It’s good to wait as long as possible before I have my carpet cleaned. No, we would not recommend this. In fact, you will find that a dirty carpet will wear out more quickly than a clean carpet. Dirt is abrasive – it damages your carpet every time it gets ground into the carpet fibres when you walk across the carpet. Regular vacuuming helps to remove the dirt but this alone is not enough to prevent damage. The longer you wait between carpet cleans, the more your carpet will deteriorate prematurely and the shorter its lifespan is likely to be. 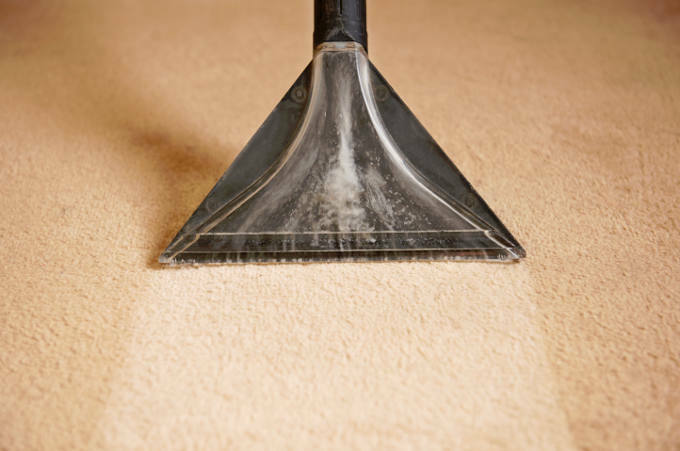 2 – The only good reason to have my carpet cleaned is to remove visible dirt. This is not true. In addition to the dirt that you can see, there are other harmful substances that get trapped in the carpet that you cannot see. Air pollution, exhaust fumes, cigarette smoke, pollen, fungal spores and all sorts of bacteria and chemicals are carried into your home from outside via your hair, skin, clothes and shoes. And they all deposit on your carpet. Whether you suffer from allergies or simply wish to keep your home as hygienic as possible, professional carpet cleaning is the best way to remove both visible and invisible dirt. 3 – All carpet cleaning methods are as good as each other. There are several carpet cleaning methods on the market but they do vary in quality. Dry cleaning methods, for instance, may leave a residue since the carpet is not rinsed after cleaning. In our experience, by far the most effective method to clean your carpets is by hot water extraction. In this method, a hot water cleaning solution is forced into your carpet under high pressure, then sucked back out. Using hot water helps to break up the dirt, bacteria and chemicals in the carpet. Professional carpet cleaning companies use either powerful portable or truck mount extraction equipment to achieve optimum results. 4 – The right carpet cleaning equipment is all that matters. While using the best equipment is crucial, it can only ever be as good as the person using it. That’s why it is so important to use a professional carpet cleaner who has been fully trained in the use of the machinery. For your own peace of mind, make sure you choose a carpet cleaning company that has been certified by the National Carpet Cleaners Association (NCCA). 5 – There’s no point in not choosing the cheapest carpet cleaning company. Paying a competitive price for professional carpet cleaning is important, of course, but it is not the only decision making factor. In fact, the cheapest quotes may often hide a few unpleasant truths that you will only find out when it’s too late. Are the operatives fully trained, as well as courteous and careful in carrying out their duties? Can the carpet cleaning equipment and cleaning products used deliver the promised results? Are there any hidden costs or add-ons you are only told about once cleaning personnel is on site? Does the company use bait and switch tactics to get you to pay a different (higher!) price altogether? At Apple Clean, you can be sure of a professional service and excellent carpet cleaning results every time. 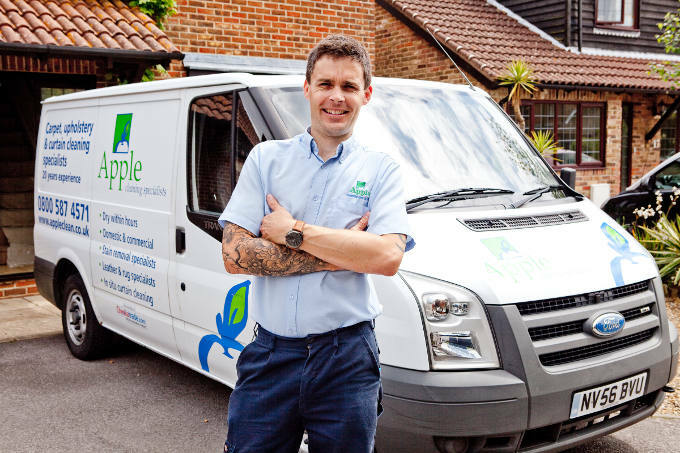 With more than 25 years’ experience in the business and a long list of positive customer reviews on Checkatrade, Apple Clean is your destination of choice for all your carpet cleaning needs. For a friendly chat, free advice and a no-obligation quote, contact us today on 0800 587 4571.